Greetings! We live on the spectacular west coast of Scotland on a small unhurried island, a hidden gem that has escaped the ravages of big tourism, We bought a croft (some 42 acres) and the croft house is under a big renovation. 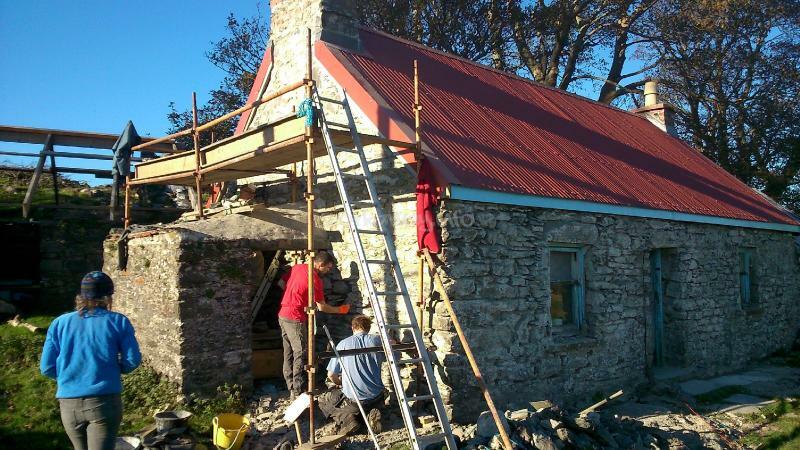 It is currently being upgraded in a traditional fashion so all the stone is being repointed with lime mortar; and we have used tin for the roofs. Pre the new build we have erected stock proof fencing and have now planted 5000 native broad leaved trees growing well as a shelter belt for the production of healthy organic vegetables. 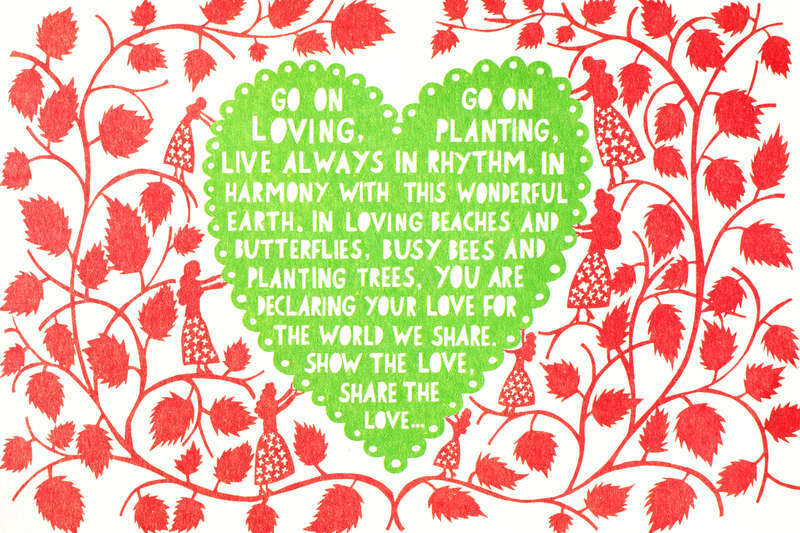 We intend to plant 10 000 and you might like to help. We have just planted a load more fruiting trees on 'lazy beds' which was the traditional method of arable farming on the west coast in times gone by. We are in the middle of expanding the area where we grow vegetables and fruit. 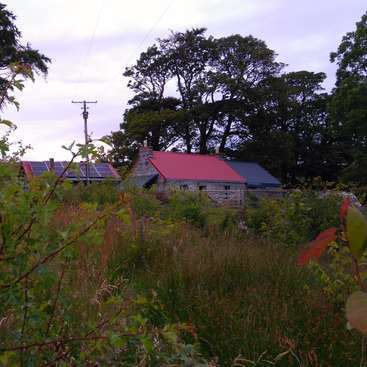 Our focus is to reuse and tread as lightly as is feasible on the land so we have built raised beds from the wood that has been removed from the croft house; we have a compost toilet that is passed by SEPA and our water comes from a borehole all tested and tasting delicious. We have a big family who are around at various times. Views and scenery that surround our croft are unsurpassed. We have sight of Ben Nevis, Britain's tallest mountain, and a ring of mountains from Ben Nevis to Ben Cruachan that thrill the gaze. 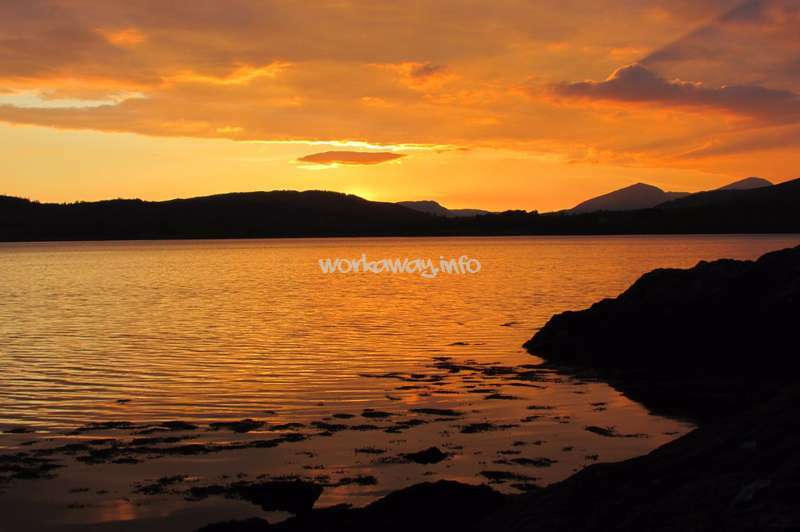 The back of the croft land is met by the spectacular Loch Linhe and Morvern mountains. Views out to the Island of Mull and across the Lynn of Lorn are awesome.If you love nature, wide open space, big skies and elemental weather you will be in seventh heaven here. We are looking for easy going, hard working, fun loving workaways willing to go the extra mile and who aren't afraid of a challenge! It is only fair to pre warn workaways that you will be in unpredictable weather conditions. The weather is classically Hebridean. If you like outdoors and wild surroundings this is for you ..... We are especially interested in people with some building or gardening skills but no experience is also fine with us. We love to discuss thoughts and ideas. Our motto is 'do good things, leave good things behind' We have had fantastic workaways helping us, shared so many experiences and are looking forward to the next chapter. Mike is 'well heeled' in Scottish and Global history and has a passion for landscape and architecture. We both love Celtic traditional music, the west coast of Scotland and traditional practices. We have both travelled a fair bit and love to listen to travellers tales and share some of our own. Volunteers will learn about scottish history and geology and flora and fauna on Lismore aswell as the wildlife. They will learn about vege cooking, vegetable growing and garden maintenance, skills such as dry stone wall building, tree planting, fence erecting and traditional Scottish building practices. Looking after some animals and caring for them. We have a cosy cabin on Loch Creran in 5 acres of woodland with beach/ sea loch access and we have kayaks,bicycles and a wayfarer. We are keen hill walkers and love the West Coast of Scotland as well as the traditional Celtic music. So the volunteers will be doing a varied range of activities but during this year there is a big focus on eco renovation and lots of gardening.It can be hard work here so be prepared ! Work awayers will benefit from a diverse range of activities on the island gardening, building, fencing and dry stone walling, tree and vegetable planting and weeding. general maintenance and work on fabric of the croft house renovation. We are vegetarians so we would not be cooking meat just in case this is something you need to know. 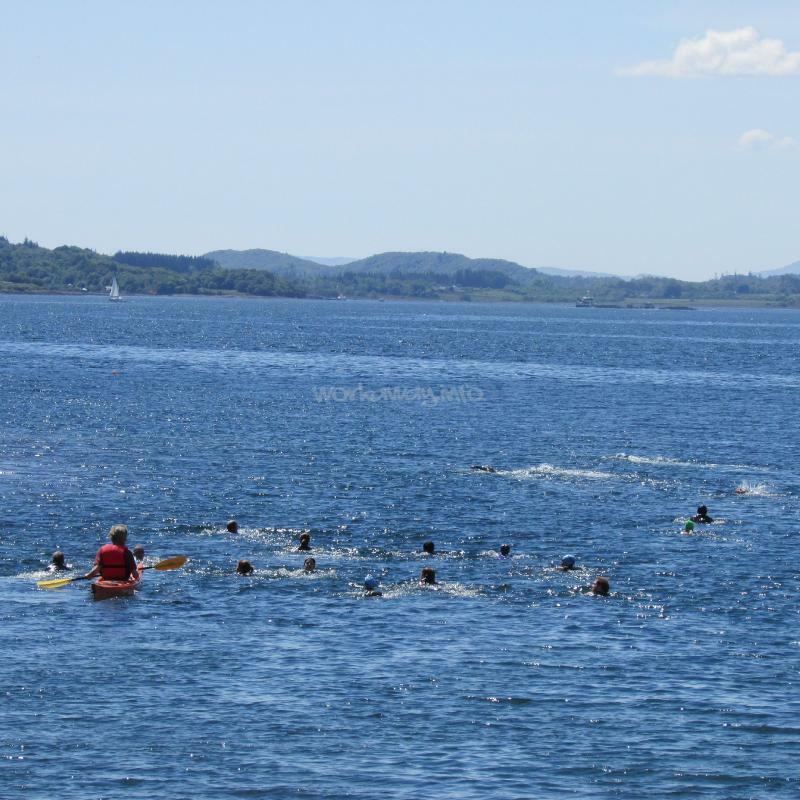 Work awayers will have access to the kayaks, bicycles, sailing and hill walking as well as social events and activities, meeting lots of different people. opportunities also to learn about recycling, the environment , nature, horticulture tree planting and learning traditional building techniques. Mike runs his own Landscape Architecture business so for the right person interested in a career in Landscape Architecture the discussion is very beneficial. On days off volunteers can explore the island by foot or bike also possible trips to nearby Glencoe on the mainland, Workaways can visit other islands too, for example Mull or Kerrera and borrow camping equipment from us. Theres lots to see in Oban and it is possible to take a bus to Kilmartin which is super interesting. putting a new roof on! Enchante Justine! SO where to start? Well... Justine is full of energy and loves fun and laughter. She is a great enthusiast for pretty much anything and was a hard and diligent worker doing many things and she was determined to improve her English speaking . She looked particularly good in the cowboy hat she wore to paint the walls...and… read more absolutely loves cream cheese making amazing cheesecakes that I wish I could have tasted... She is a very good team player making friends easily with the other people here. We became very fond of this bright, funny and capable lovely young woman. Merci beaucoup Justine A bientot ! I had a great time with this family. A lot of discussion in the evening, which helped me a lot to improve my English and learn from their culture. Despite the small size of the island there are many passages, and we meet many people, there was a really good atmosphere, and the cows are adorable! You wouldn't be bored there's a lot to do! What… read more else...Mike is really nice and clam, Claire is a little crazy, endearing, and funny, thanks again for those moments and for skye !!!! for your vegan food i realy like it !!! and for all !!! Thank you for an amazing couple of weeks! Claire and Mike made us feel at home straight away in their lovely bunkhouse, giving us a much needed rest from being on the road. We were mainly planting trees - although it was hard work, the incredible panorama of mountains surrounding the island meant it was never a drag. With loads of top notch grub… read more at every mealtime, we were always well fuelled for work too. In our time off (which was nice and flexible) there was plenty to do, from exploring the island to staying in their cabin on the mainland. I'm sure we'll be back soon enough, cheers! Jesse and Oscar are great young men who did a sterlign job planting over a thousand trees as part of the Baleveolan Woodland Croft project currently in progress. They are polite, easy going, considerate and not afraid of getting stuck into hard graft even when the weather is inclement. Great sense of humour and both talented in different ways.… read more Highly recommended and hope we will see them again .Thank You Oscar and Jesse, Keep safe on those mountain bikes ! This family made my first workaway into a mindblowing experience. When I first arrived, it took me a while to settle down and enjoy my time. Mike and Clare had a lot of loving patience with me, and after a week I fell in love with these people, the surroundings and the work they do. I have never met people so eager to make the world a little bit… read more better, and you can sense this mindset in everything they're doing. They were always willing to spread their knowledge about so many different things, which helped to make ourselves excited about the work. During my stay we did a variety of things, like working with the mortar, digging up potatoes, and helping to build the new chicken coop. The work can be quit hard sometime, but the amazing food and beautiful purposes kept me on my feet ;). If you like nature, good food and company, practical work, learning about life and developing new skills, Mike and Clare won't disappoint you :). Many thanks for having me, I am confident we will meet once again! Tess and Nick are great to host, very easy going, relaxed and fun to be with. They brought some great skills that helped us move the project on enormously . We are so grateful for the skilled help we got which meant some otherwise lengthy jobs would have hung about for a lot longer . Our new rescue hens have a fabulous homemade coop and our out-… read more building structure has a new shiny roof. Tess is an excellent cook and made us a stunning vegan lemon meringue pie. Both Tess and Nick always muck in and help with whatever is needed. Nick also took a new workaway under his wing and made an otherwise overwhelming experience into a very enjoyable time learning new building skills.We hope to see you both again one day . Thanks again. maybe see you in NZ ! We volunteered for two weeks and found it such a good experience. Clare and Mike (& Clare's best friend Sally) are great people, very interesting to talk with and learn from, it feels like you join in a family. It felt rewarding to contribute to their project and Nick enjoyed building projects which kept him busy and happy. If you are willing to… read more work and involve yourself then you will be sure to learn something and I feel Clare and Mike are great at encouraging volunteers no matter what their expertise or skill level. We both loved the vegan food and it was really insightful for us to eat like this. We also had a wonderful time at the cabin and really appreciated our time there. Big thank you for having us and we hope to be back and see the place one day! Christina is a lovely human being to encounter, Incredibly helpful, conscientious and polite, Her standards and integrity are wonderful,She is an absolute pleasure to host. Christina is a great team player and very meticulous. She was happy to do any work at all and also helped others, She is self motivated and very capable. We had some long tough… read more working days and thoroughly deserved time off, some great card games together in the evenings, Christina taught me Austrian card games which was super cool. Loads of laughs and a great sense of humour and fun, Thank you so much- we miss you ! It was my first time trying WorkAway and I chose the perfect hosts for my experiece. Claire and Mike are an amazing couple and I was real fun spending time with them!! It was also really interesting to listen to their stories and get to know the Scotish way of life. Our work was really diversified - working in the house, garden, helping with… read more animals. It never got boring! Some days we worked more than 5 hours a day but therefore we had more days off! They tried their best to make it a great time for us and it worked :)!! I'm looking forward to visit them and their rescued animals again! Sooo If you want to explore Scotland and work together with great people - you're at the right adress!! We felt Linde was not prepared for the type of work that needed to be done and she did not want to do physical work. Whilst Linde was here we did our best to help her by taking her out to lunch, parties and leaving dos of friends of similar ages to her and we tried to engage her in conversation. Freinds also took Linde out one afternoon so we… read more really did make a lot of effort to try to find ways to help her, Linde probably did her best within her own capabilities but we feel she is much better suited to less physical work and a very specific type of host family. Linde is a serious person and her sense of humour is very different to ours. Linde found it difficult to get up in the morning but gradually improved during her stay, We hope she has learnt a lot and we wish her all the best in her pure maths degree and future ambitions. In the first place, I came to improve my English, but I got so much more! I learned things like doing mortar, cooking vegan, feeding chicken, cleaning chickencages, campervans, birthdays of 2-years and 70-years olds, Gaelic, seaweeds, little island communities... Mike and Clare were great hosts and did really their best to let me enjoying my stay… read more as much as possible! I had some really interesting conversations with Mike and Clare is a little bit a crazy woman, like a previous workawayer described her. Furthermore Lismore Island is an idyllic island, with lots of things to discover such as the castles or the amazing nature and vieuws! Unfortunately, this Workaway didn't work out for me. I think it was a little bit too crazy for me and I also think it is better when there are more workawayers around, as Clare and Mike are both really busy and so you will have to work sometimes alone. Thank you very much for all Clare and Mike ! I spent an amazing time with you and learn a lot. Mike and Clare are two rellay nice people very friendly and interesting. Clare is an atypical person, fun and cool a bit crazy sometimes, but always in the right way very positive and enthusiastic. She can do all she wants, she is really badass. Mike… read more is a Scottish history lover, calm, methodic, and organized he is the brain behind the building works. 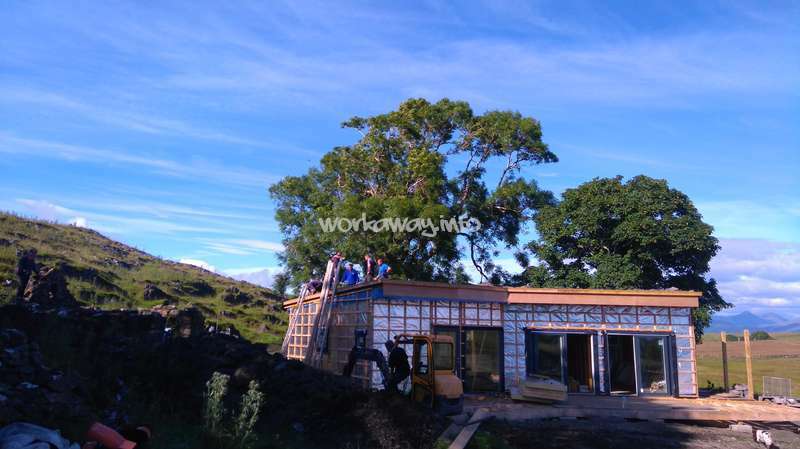 The works there are really interesting, Clare and Mike are good managers and always try to find the better job for you ( I had the chance to learn how to build a typical scottish wall during my stay), however some jobs have to be done every day like feed the chickens and help in the bunkhouse. Clare is a great cook and I have to say even for a french food lover that I'm, the vegan food they made is really good and especially her cakes ! Clare and Mike are also very proud of the history and the landscapes of Scotland and as soon as they can they share it with you. Very nice memories with them. Seraina and I got to become very close . We shared a lot and Seraina is a hugely insightful person who can anticipate what is needed so I never had to really ask her to do anything because she was already on it. We shared a lot of intense times, funny times and I relied on Seraina's calm and sensitive approach to situations. She is really very… read more hard working and great fun right from the moment we met and danced around the room. I knew we were going to have great fun. Seraina is very mature and very capable , I dont think there is much she wouldnt be capable or willing to do. See you again I hope . Thank so so much for choosing us ! Thanks for it all ! I spent four weeks with Clare and Mike in May. It was my first workaway. From the first day on I felt very welcome and home. I loved the various work on the croft: Chicken feeding, gardening, cleaning, building, cooking and so on. I've learned a lot from both! Their forrest gardening project is very interesting. What I really valued was, that they… read more trusted me and that I really lived with Mike and Clare and not just worked for theme. I miss our long talks about so many different thematics. Clare is also a very nice cook! Her vegan mushroom-smoked tofu pie is incredible! But also Mike is doing some colorful garden salads with herbes and blossoms from the croft land, very good! I also appreciated the island life. The Isle of Lismore is a calm island with beautiful nature and some very nice people. There is a creative island community: artists, musicians and authors. While my stay, there were four ceilidhs, so I learned how they dance and heard some wonderful traditional music. Anouk is not your run of the mill type of gal, she is super intelligent, has a great sense of humour ,yet is thoughtful and serious about subjects that matter. ( I know she will roar with laughter at this !) She is not afraid to tell you what she thinks... !! and I really have a huge affection and respect for her. She is very hard working and… read more conscientious, kind and caring. I have hope for the world when I meet someone like Anouk. Thank you for sharing a few weeks with us- I am so glad Mike and I got to meet you.And thank you for looking out for Sally. Keep dancing , keep laughing . Don't change ! Come back and see us. I stayed three weeks on Lismore and had an excellent time. Mike and Clare are two very passionate, generous individuals, and it's been great working alongside them, talking about everything from politics to personal anecdotes and having a fun time playing cards. My first two weeks were spent with Sally, a close family friend who was equally lovely… read more and attentive, and three other workawayers. Living on such a small island is quite the experience, too - just one store, no pub, a few ferries a day to reach the mainland; but I had the chance to take part in some of the island's social events (Cèilidh and sport's day! ), and all in all it was great fun, especially among such gorgeous sceneries. Tanja and Kenny hold a special place in our hearts. They are both very gentle exceptionally kind and caring people. Both worked very hard and went the extra mile for us. Kenny went on the date agreed to see Sophie in Aberdeen and we were sorry to say goodbye as Kenny is lovely company, helpful and thoughtful. Tanja stayed another two weeks and we… read more were lucky to have her for longer. We had some pretty long days cleaning the bunkhouse for guests but we had such a great experience because Tanja is such a lovely person. She is a listener and is very thoughful and interesting. Always willing to help, always the first to the dish washing after supper and really is just a lovely person to have stay. I hope Kenny and Tanja and Sophie will come again to see us and it was super lovely to meet up with Sophie again who was one of our first workaways who came and heped for a week with Kenny. Thanks so much for everything. Alles Gute. We actually don’t know where to start. It was such an incredible experience! We initially planned to stay for 4 weeks but since our next host cancelled our stay Clare and Mike were so nice and let Tanja stay for two more weeks while Kenny went to his girlfriend’s place in Aberdeen (he could have stayed as long as Tanja if he wanted to). Tanja was… read more very happy and thankful about the extension of her stay. We both felt very welcome and immediately felt like a part of the family. Clare and Mike are both very open-minded and passionate about the things they care about. They are very likeable and have a good sense of humour. Although we are both not the most argumentative persons we enjoyed the daily conversations. They know a lot about Scottish culture in general so we could learn very much. Clare showed Tanja traditional Scottish music and we all watched Local Hero together, a typical Scottish film. We worked for five days and had two days off in exchange. Most of the time we helped to renovate the cottage. We insulated the walls with Kingspan, helped Julian (a skilled and kind German workawayer who stayed with us) putting on the boards in the croft, varnished the boards and did some mortaring. Furthermore, we dug holes for foundations and learned how to mix concrete. Another task was to level the future camping area. The highest priority was always to keep the bunkhouse clean, especially when guests arrived. Tanja also did some varnishing inside the bunkhouse. A daily task was to feed the lovely rescue hens. Since they were all over the property rather than in their area Kenny and John (another workawayer) helped Mike to put up chicken fences to prevent them from getting out. On our days off, we could go for a walk and explore the island. We saw the two castles on Lismore, the lighthouse, the Broch, Sailean, the adjacent island Bernera and the very informative Heritage Centre One Sunday afternoon Clare and Mike took us to a beach cleaning where we met the nice local people from Lismore. Generally, Lismore is a beautiful, quite island which is worth to visit and explore. Fortunately, we have been there in spring so we could see many lambs and birds. Tanja also visited the Isle of Kerrera. As her last trip, she spent a lovely day together with Clare and her family on Mull. Furthermore, Clare took us to Glenfinnan and Glencoe which was an amazing trip. On the Easter weekend, we had a few days off so that we could go to the cabin and explore the region (we did a biking trip and went for a walk around Loch Creran). 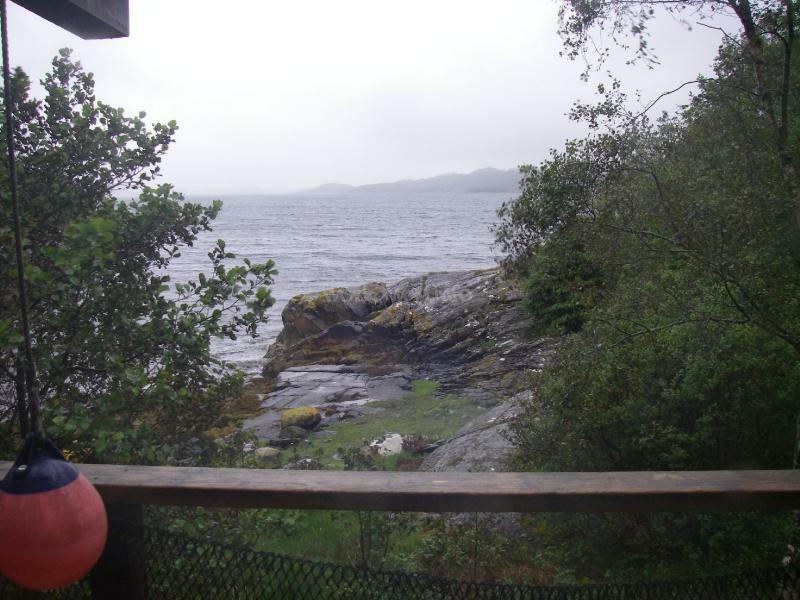 The cabin is located on a beautiful peninsula and we could see some seals. This was also the time when Kenny’s girlfriend Sophie arrived, who was one of Clare’s and Mike’s first workawayers and stayed for a week with us. The second time we were at the cabin, John and Laura, a lovely vegan couple from Glasgow, arrived. On this day, we worked at the cabin, collected wood and cleaned the cabin. We enjoyed all of our stays at the cabin very much. Clare always prepared delicious vegan meals for us. We had lovely soups and nice salads amongst other great dishes. Furthermore, she made her homemade bread (the sourdough was amazing) and sinfully delicious cakes, especially the simnal cake, the fruit cakes and the chocolate cakes. There is a lot more we could write about (the bonfires, the Scrabble games, etc.) but we have to come to an end. Clare and Mike, thank you for the unforgettable time we spent with you! We can recommend you to every workawayer and will definitely come back to see you again. Wow- we got exceptionally lucky when Julian came to stay. He is a really talented person and did a ton of work that we couldn't have dreamed of. He is immensely capable, easy going and has a great sense of humour. For someone so young his English and understanding is impressive. He did a lot of work and was pretty much the first up every morning… read more getting on with things. We really appreciate everything he did to help us. Julian is really easy going and very conscientiousness. Thanks for everything and see you again we hope. Alles gute. I've spent almost 3 great months here and I can only say, Clare and Mike are brilliant hosts with a lot of experience. The work is hard and it varies a lot, I did stuff from changeovers in the bunkhouse, over building a gate, to putting in insulation and nailing on timber boards. And after work there is always one of Clare's lovely vegan dishes… read more waiting for you. The island is packed with ancient ruins and stories, and amazing views. Especially now, as everything is growing and getting greener! I can only recommend them as hosts. Super relaxed and easy to get along with , Georgia is an absolute delight to spend time with. Georgia never sweats the small stuff and has a really calm, positive character, she was up for any kind of work that was needed and always willing to help. Georgia worked really hard and was such a cool person to hang out with. She is a really good team… read more player and gets on with every one really well. Thanks so much Georgia we really appreciated everything. Come back and see us. All the best. I had the most amazing month on Lismore ill truly never forget it . Lismore is one of the most beautiful places I've seen whilst traveling its so rugged rural and very peace full . I felt welcomed and at home from day one , the bunk house and the cabin on the main land has a very cosy safe and homely feel. I… read more really liked the hands on work I was doing ,Another work-away and I were cladding the walls in the loft, it was a very rewarding job especially when Clare was getting so excited to move up there . I loved having a cuppa and bickies at morning tea time and then followed with Clares amazing food for lunch and dinner and sometimes desert . I learnt so much whilst at this work-away from Clare Mike and workaways . I loved the island life it defiantly gave me inspiration to move to an island one day ,I loved the small community feel I met so many wonderfull locals . So all I have left to say is thank you Clare and Mike for the amazing month ,and I can't wait to come back in a few years and see how its all going . Extra special to have two committed vegans coming to do workaway at the croft. Laura and John are very conscientious and hardworking they put in a lot of work and were always willing to help- it didn't matter what we needed to do. Days were always busy and they both made the most of days off. It was fabulous to meet young vibrant passionate… read more committed vegans and I hope they will have a fantastic adventure together. Come back soon and thank you for everything. We stayed with Mike and Clare ( and the chickens) for 4 weeks on Lismore. Mike and Clare are fantastic hosts who are very welcoming and caring. We were made to feel like family from the day we arrived. The work varied from day to day which involved tasks like feeding chickens, digging foundations, doing insulation, creating paths and helping… read more restore a wall with lime mortar. The days were full on but because it was so varied work, it kept everyday interesting. It was great to learn new skills. Clare is a wonderful vegan cook who spoiled us with tasty food and treats so we always looked forward to coming into the bunkhouse for lunch and dinner. We enjoyed the meal time conversations and discussions, no topic was off limits and we learned a lot about the islands history from them both. 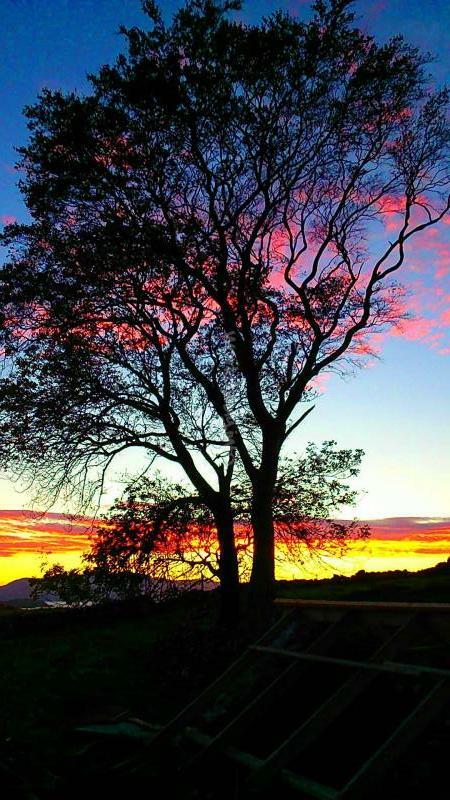 Lismore itself is a beautiful island, separated from the hustle and bustle of mainland life. The views you can see, even from the bunkhouse, are stunning and there are plenty of lovely sights to see close by. It was a joy to look after the cute chickens and see so many adorable lambs on the island. We found the motivation Mike and clare have to finish their project really inspiring and look forward to staying in touch and one day coming back to see the finished result. Thank you for everything! Jessie is quite simply one of the sweetest young women I have met, such a kind, caring and loving person. I think she would make a wonderful Nurse and no doubt she is an absolutely excellent nanny/au pair. 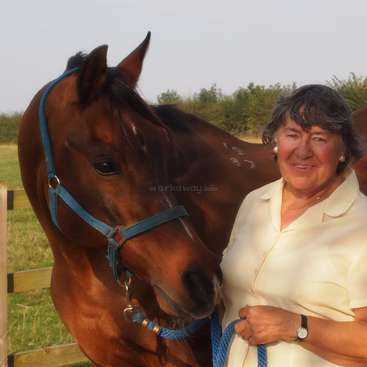 Jessie looked after me when I had flu for a week and managed the bunkhouse, cleaned and cared for the animals. She anticipates what needs doing… read more and is self directed, precise and meticulous in her approach to any task; subsequently she did a superb job with insulating a very tricky roof space. Jessie has a very positive attitude towards life, opportunities, travel and anything she does and anyone she meets -this is reflected in her somewhat funny profile which, when you get to know her, makes sense. She really is a fantastic workaway and a lovely person to be around. I cannot thank Jessie enough for all the help, friendship and wonderful energy and positivity she brings. Come back soon Jessie we miss you- the hens are bereft ! Jessie's name in Taiwanese means 'beautiful sunset'. She is ! Ahhhhh this place is not enough for me to describe how amazing my experience was and I don’t think I’ll ever express all these emotions that I have properly because of my poorly English, but I’ll try! I really had a blast there!!! I stayed at the bunkhouse with Clare, Mike and their family for almost a month and then Silvia, another lovely… read more volunteer, came and shared 2 weeks with me. I’ve learned so many new things both physically and mentally from this experience. I’m so glad that fate brought us together and gave me such wonderful chance to meet all these beautiful souls. Clare and Silvia really spoiled me with too much love(and food!) that made it really hard for me to say goodbye but I know we will meet soon, again, on this beautiful island. 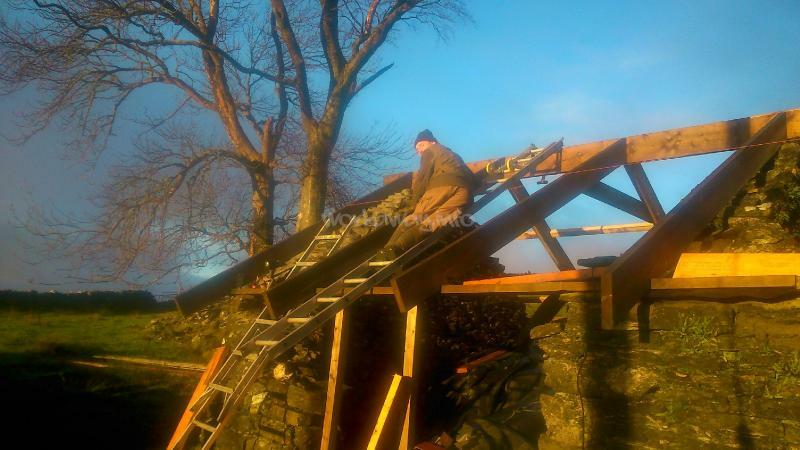 The task I was helping with were tiding up the bunkhouse, taking care of the lovely hens(my favorite part hehe) and working on the restoration project on a 200 years old lime stone wall for which I learned how to make mortar and also the thermal insulation on the attic. It was great fun doing all these things with them! The island itself is beyond words, everything seems so surreal! I feel like walking in a movie scene every single day, oh maybe not in the movies, it was like in the books, to be exact, in a place only imagination could take you to. I know maybe I sound a bit crazy with all these splendid words but it’s true! You will only know it by visiting here! I generally don’t know if I can enjoy any other places after visiting Lismore! Owwww I’m really glad that I came here, and experienced all these beautiful things in life. I really really enjoyed it! There are too many people to be thank for, so I thank god for giving me this unforgettable experience. Sylvia is a lovely personality ,a bright and thoughtful young woman. She is a good companion and team player, gets on well with everyone and is very interesting to converse with. Sylvia stayed for two weeks and during that time she made the most of the island, looked after the hens and did some renovation work on the croft house . She was… read more conscientious in her approach and helpful with domestic chores. Thank you Jessie we enjoyed hosting you. Come and visit us again. All the best ! I'm very glad for met Claire, she is wonderful and lovely, each day that i was in there she cooked for us amazing vegan meals. Be in there with her, listening her cds, talking about the garden, plants, animals and how she build the bunkhouse or saved the chickens. turns her an inspiration to me. I spend 2 weeks with Claire and Jesie, another… read more adorable volunteer. The bunkhouse is very comfortable and sweet. I felt like being in home, helping Claire with the tasks and having meals like family. The task that i helped when i was in there was feed the cute chickens, and i helped in the restoration of a stone wall, i learned to make mortar to use in the wall. And helped to make the thermal insulation in the house that Claire is building. I think the tasks always gonna be different depends on the season, i went in the winter, with a lot of wind and snow, but even with the cold weather the scenery was amazing in this island. So beautiful all the time like in a movie. This experience got to me a lot of knowledge and i could met beautiful souls. Thanks so much Claire for everything. I hope see you again !!! Klara is a highly intelligent, capable and conscientious person who works diligently and is very willing to do some pretty difficult jobs. Klara stayed 3 months and would have been welcome to stay even longer. She managed to combine her part time job with workaway successfully. The weather was mixed and some of the time cold and wet but Klara just… read more kept going and never gave up, apart from the celotex which I empathised with entirely! Klara did a really excellent job of preparing the walls for painting -they were quite rough. Also doing a lot of lime mortaring, tea plant vole protection in the rain and wind and long hours helping to build the chicken coop for the rescue chickens, The bunkhouse cleaning and preparation was also done carefully aswell as the amazing transformation of our flat in Glasgow. Klara has a really great sense of humour and is a very interesting person and is a natural team player. We are really grateful and so happy to have had her stay with us. Come back soon, for a break ! Thank you again. I was very lucky to spend 3 months on a beautiful Isle of Lismore with Clare, Mike and their family. I don’t even know where to start. I’ve felt very welcomed the whole time, Clare and Mike are amazing people, very creative and caring. They know a lot about ecology and are willing to share all their knowledge with you, we had many amazing… read more discussions about veganism, culture, history and social awareness too. They did an amazing job on their croft on the seashore and turned it into a beautiful place to stay. I was helping with various projects such as organic gardening and tiny tea plantation (yes, on the westcoast of Scotland! 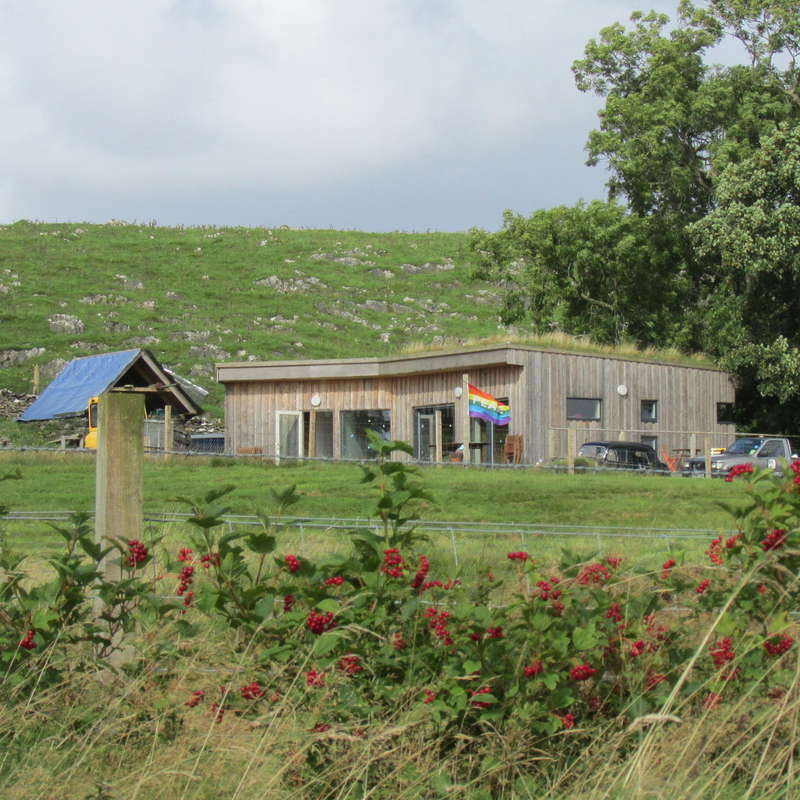 ), eco-friendly renovations, taking care of the newly build cosy bunkhouse and many others. I’ve learned millions of things such as bread baking, mortaring and chicken coop building. The work is not easy sometimes but definitely rewarding. Clare, her family and the island will always stay in my heart. Thank you, I hope I’ll meet you again. Building the new coop and then see the new arrivals of rescued hens was just amazing. To see how they adjusted to a free life and how they enjoyed walking in the green grass. How they grew more bold for every day and got used to there new life. Clare really care for all her animals! The island is so beautiful and there are lots of things to discover. We also had time to go on some day tours to the mainland and explore some of the treasures hidden all over Scotland. Mike and Clare are lovely people and I'm so glad I got to know them. Clare is an excellent cook and I really enjoyed learning more about the vegan kitchen. Mike knows a lot about a lot and talking to him was always some well spent time! I do hope to come back and I'm so glad I was able to come in the first place! Thanks a lot and say hi to all the people on Lismore! Hilde is a superb character. Incredibly positive , capable and helpful. Always willing to go the extra mile for us, Hilde is like a breath of fresh air, fun loving, energetic and seizes the day. We really loved her company and friendship. 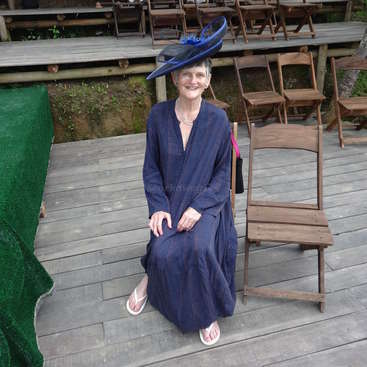 Whilst Hilde was here she pretty much co- built a chicken coop with some help working out the design and build… read more and also put in a load of insulation with a cheery smile, Hilde is also a very good cook. There was lots more Hilde helped with including cleaning the bunkhouse and painting and decorating, and she also made the most of the island and opportunities to visit nearby areas. All the very best Hilde Please come and visit us again one day, P.S, The chickens are very well. Thank you! Melisa is a fantastic young woman with lots of ability, talent and a great conversationalist with a lovely sense of fun and humour, Melisa willingly worked so hard for us and was very easy going. We had lovely times with Melisa and she is so interesting to converse with. Melisa happily helped with anything that was going on either feeding the hens… read more and cleaning the coop or cleaning the bunkhouse or gardening and croftwork. Thanks so much for coming to stay. We really hope to meet you again one day . I had a short and sweet stay here on Lismore. This workaway has a lot to offer volunteers that value natural beauty, simple living and thought provoking discussions. The croft and land are truly beautiful and the inter-personal dynamics of the small island community are highly entertaining, if not a little wacky. There is not much structure as far as the work day I.e. start/finishing times, specific days on or off but all seems nicely balanced, I felt the trade was fair. The accommodation was warm and comfortable, though lacked privacy as most workaway situations do, good to be aware of if you are one that requires privacy/alone time. I really enjoyed my stay for the beauty of the island and the deep conversations I got to engage in with Clare. I am also indebted to her for her great vegan cooking tips! Overall a positive experience, my tip would be to go in the spring/summer months when you could fully enjoy the nature and to go with an open mind and patient heart. All my thanks and gratitude to Clare, Mike and the rest of the family, hope to see you all again! I had a very beautiful stay with Clare, Sally and Mike for three weeks. During my stay we built a chicken house together with two other workawayers, I worked in the garden, painted a bathroom, learned a lot about living in Scotland - I remember when I first wanted to wait for the rain to stop before going to work in the garden and I was laughingly… read more told I could wait a long time for that in Scotland. Cecile is bright and fun loving . She did some great work here on the croft and we had a lot of fun because she has a lively sense of humour.Cecile made the most of her experience and I am sure she would be just as enthisiastic anywhere she goes. AKk the best and bon chance ! Such a beautiful island, what a great experience! Clare and Mike are really kind and generous persons, it was my first time in Scotland and I couldn't ask for more! You will… read more be able to learn a lot of things about permaculture, history, vegan food (as you can read on each post on this page, Clare is a great great great cooker), music, cinema or just about life. Thank you for everything you've done, itsn't always an easy task to found people as open-minded as you both are. The view across the field is BREATHTAKING, the highlands are BREATHTAKING, honestly this is one of the most beautiful country I've ever seen, everything here is incredible!! Scottish people are amazing people too (great persons for a great country after all), I will not say that it was always easy to catch what they were saying (strong accent), but people here are so lovely that who does even care about the accent ? I almost forgot the music, dear lord the scottish music is just... I don't even have a word strong enough to describe it! Thank's to Clare I'm listening Martyn Bennett almost everyday (dear worker, you have to listen Blackbird if it's not already done). The last but not the least : we went on a scottish dance on the island, that really was one of the greatest night of my -short- life, I can't stop thinking of how great this night was. It's not by chance if some spot of Harry Potter were shot in this country, Scotland is magic, no kidding! TL;DR: The best trip we ever did. We met amazing people, saw dazzling landscapes, mastered marvellous adventures, ate and cooked mouth-watering food and inhabited the cosiest cabin ever seen. Without a doubt, a unprecedented adventure. We hope the chicken house still holds up and the chicken still like it, and are not eaten by minks.… read more Furthermore we hope your new tea plants prosper and are not eaten by the chicken ;). I stayed with Clare and Mike for just under a month in September 2016. Their other extremely positive reviews speak for themselves but they were a lovely couple who live in a very special place in the world. Having built their empire from scratch, there are plenty of things for you to do - gardening, cooking, building, tattie picking and egg… read more hunting and they're happy for you to find your place or to try something new. The weather is unpredictable, but (especially on the bad days) Clare would be around to offer a cup of tea and something sweet to pick you up. Clare's cooking is amazing and Mike is an excellent person to ask about Scottish history! There's plenty enough for you to do on the island on your days off, and being close to the mainland they are both helpful in providing tips to explore Scotland that little bit more if you wanted to go further afield. I was very sad to go! We really enjoyed having Jana to stay. Several aspects to Jana's personality make her delightful company , Very easy going .helpful.polite and hard working. We were able to feel very relaxed and felt we could trust Jana to look after the house and chickens for a few days which was much appreciated .Jana is a very mature and kind and trust worthy… read more person,always willing to help and wanting to be involved in the project. She has a great sense of fun so we had a lot of laughs as well as serious conversations. Thank you so much Jana for everything and just being You. We will hold you to coming back next year. To sum it up short: Absolute fantastic!!!! If I could I would give 8 smiling green faces I would, or even better 16. Lismore is a beautiful island. Absolutely lovely views, the mountains, the stonewalls, the sea. Amazing. But the beautiful scenery was not the deciding reason why I enjoyed my time on Lismore so much. Clare… read more and Mike are such lovely people. Generous, kind, tolerant, caring, full of energy and ideas, a vision to save the world from waste, pollution, factory farming and so many more horrible things. If anyone will ever succeed, it will be Clare and Mike! I learned so much from them, not just simply how to mix concrete, bake bread, use amalgamating tape and so many other practical things, but I learned that having an idea and pursuing it can change the world. I know, because they changed mine. I stayed on Lismore for four weeks and enjoyed every second of it. The work was hard (digging up peat and stones is not easy), but so satisfying, especially when you know you will have dinner at Clare's table afterwards. Food was always plenty, healthy, and really good. Clare puts so much love and passion into all the things she does, and with the meals she cooks you can really taste the love! I felt very welcome from the very minute I stepped into the bunkhouse. We talked a lot about the world and history, politics, etc. I always had the feeling that Clare was genuinely interested in me, my opinions, my ideas and not just doing small talk. I always felt appreciated and respected. We had very deep conversations about the world, as it is today, about human nature, and of course veganism. Clare really changed my views, and made me question my habits and my diet. She wasn't trying to convert me, she was very tolerant (she brought cheese for me because she knew I really liked it), but she put a point to it that I have never seen before. Clare really enriched my life with her energy, her world-changing ideas and attitude towards life. I'm really grateful that I had the opportunity to be a part (even if I'm just a very tiny part) in their amazing project. For me Lismore was really an adventure in every possible way. In those four weeks I have seen the most beautiful scenery in my life, I have listened to wonderful music, had very meaningful discussions, I have been freezing cold, very hot (me in a t-shirt in October in Scotland, never would have thought that possible), singing, laughing, crying (when I was leaving), but most importantly I fell in love with the island, the croft, the bunkhouse, and Clare's and Mike's ideas. I couldn't have wished for a better workaway experience! This was a fantastic experience. 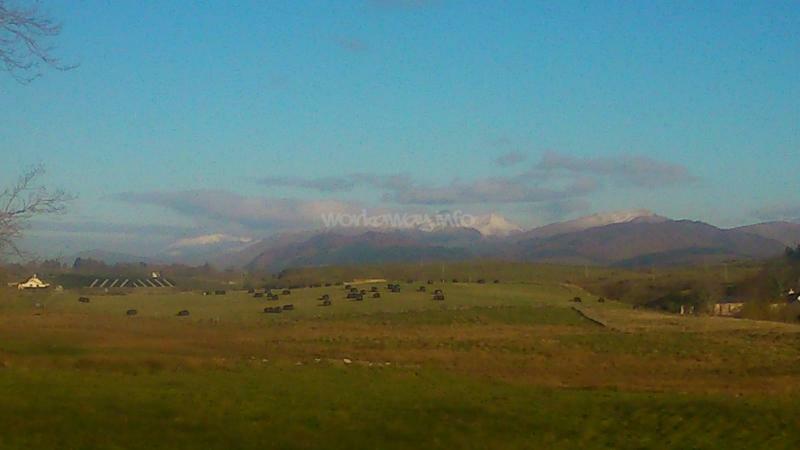 The majority of work was outside where I was surrounded by a sweeping and stunning view of the highlands. Even when the weather was not so pleasant, the encompassing scene was no less amazing. Claire and Mike were perfect hosts - kind, friendly, considerate and accommodating. I remember there being many good… read more conversations between us which I really appreciated. You definitely couldn't accuse of them of not being easy to talk to. The accommodation was excellent and the food was superb. Having had a month of eating such healthy and tasty food on Lismore, I now have a much greater appreciation for vegetarian cuisine and am incorporating far more of it into my daily life. Overall I count myself very lucky to have stayed with Claire and Mike, having met so many good people and thoroughly enjoying myself all the way through. I would be more than happy to come and visit again in the future! Unfortunately I only spent 10 days (in August) with Clare and Mike on their beautiful Croft, but we sure did pack a lot into those 10 days! This was my first visit to Scotland and I arrived to Lismore just after walking the West Highland Way thinking I couldn't possibly fall in love with the Scottish landscape and lifestyle any more, but I was… read more proven wrong! I was very lucky to be blessed with some stunning August sunshine in my time on Lismore which we made the most of by eating breakfast, lunch and dinner outside on the deck and swimming in the natural pool which was an absolute delight. I was also lucky to be on the island when there was an archaeological excavation happening which I helped out with for a bit, and a talk about suffragettes in the islands museum! We also attended a Ceilidh at the public hall (just next to the bunkhouse) with fantastic local musicians, i left at 4am with blisters on my feet and a smile on my face. Clare and Mike also let me stay in their beautiful wooden cabin on the mainland where I had a little swim in the Loch and a peaceful evening. We did a variety of work on the croft including weeding, planting and a bit of heavy lifting of stone and wood. But my favorite jobs were the dry stone walling, which takes a lot of patience, and the clay pond puddling which we were all first-timers with so it required a bit of common sense and improvisation but I cannot wait to try again someday. I do want to say that I have done this kind of work quite a bit before so am used to it but if you haven´t then just be prepared for tough and messy work (also potentially in the rain - it is Scotland after all). Me and the other workawayers stayed in the bunkhouse (a very luxurious bunkhouse may I add!) which was very newly erected. It was wonderfully comfy and clean and warm, couldn´t have asked for anything more! Clare and Mike are incredibly interesting and talented people who you can learn a whole lot from. I only saw Mike on the weekends because he was working in Glasgow but when I did he was extremely friendly, helpful and welcoming. Clare was the most hardworking and caring host I have ever encountered, she really made sure we had a fantastic experience on the island, she even drove me and the other workawayers to the south end of the island one evening for a stunning picnic in front of the sunset. Clare is a fantastic person to have a debate with, but be prepared to be challenged! Finally I have to mention Clare´s awesome vegan cooking! Breakfast, lunch and dinner! I have been a vegetarian my whole life but never successfully become vegan, her cooking transformed my perception of a vegan diet (did you know you can make homemade vegan mayo, and its delicious!?). My diet is now about 90% vegan (sorry Clare not quite at 100% yet but getting there!). 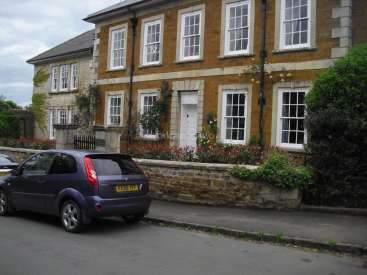 We stayed with Clare and Mike in the beginning of October and it was brilliant! We liked the fact that there where more workaways coming, staying, and going, so you can meet a lot of different people, and sometimes work together on projects. The conversations with the hosts were very interesting. Clare takes often the time to collaborate with… read more workawayers and listens to any wishes concerning your workaway experience. We were keen on meeting some other island-recidents and through Clare we actually met a lot of amazing characters and lovely crafters and crofters! We liked the fact that both Clare and Mike are helpfull in the tasks we were given, as well as letting us find our own solutions and having the freedom to solve projects with our own visions or ideas. We also learned new techniques as dry-stone-walling which is amazing to do. The accomodation is superb, the food is super healthy and super tasty! We will miss the bonfires, the beautiful views all around Lismore, the seaweed gathering on remote beaches, but mostly the warm- family- atmosphere at the table full of nice people!! Richard and Susan are a really fantastic couple with an excellent work ethic. They are both very easy going characters with interesting concepts. Both work extremely conscientiously and nothing is too much trouble for them. They can work unsupervised and are both solution finders and highly creative which means you can be sure of a job well done.… read more Both are very helpful on the domestic front as well.Early risers and breakfast on the table was a lovely experience. These two will be a huge asset to any work away host and I thoroughly recommend them. See you again one day and thanks for all the hard work and beautifully constructed cold frames, dry stone walls and rock moving ! What a great and unforgettable experience! The area is such a paradise! Mike and Clare (+ kids and friends) are lovely and warm-hearted! They showed me around a lot. We cooked together and had a great time! We worked some days in crazy weather conditions but got rewarded with amazing days full of sunshine. I will never forget the lunch… read more breaks with the fantastic views. Hope to see you again soon. You are always welcome in Germany! Sarah and Paulien are a lovely pair of hardworking fun loving positive young women with a lot to give and happy to try new skills out. Both are only to willing to get stuck into whatever is needed whether it be outdoor digging or cooking cleaning and ironing or fitting skirting boards. Sarah is an excellent cook and helped out loads with cooking… read more for a big team. Both Paulien and Sarah are easy going and interesting characters to have a good conversation with.I hope to see you again whether it is NZ or Scotland.Thanks so much for everything! What an amazing experience ! Far beyond our expectations ! We had very good time on Lismore with you for our first workaway experience. The work there can take many forms from gardening to building stone-walls. Even if it can be physically intensive sometimes, Mike and Clare will be there to guide and support you, especially if it’s your first… read more time. As a consequence you are given the opportunity to learn various things and come back with their precious advices (“Measure twice, cut once”)! In return, you will live in an area full of awesome sceneries that Clare and Mike are glad to help you discover and eat delicious vegan meals which will make you forget about meat. We also had a lot a fun with card games in the evening and enlightening, long and fiery discussions about the world, life and everything. We wish we could have stayed more than 2 weeks. What a great pair of good, hard working, interesting and perceptive young men who made the French invasion so pleasurable! The discussions about the law were very stimulating indeed and the fun and laughter we all had will be a fond memory for many of us. J.A. and Weiss are very capable and conscientious people who will be an absolute asset to… read more any project they put their minds to. Merci beaucoup for sticking at it midges, rain and wind. I hope we meet again one day All the best to both of you. you have been missed ! We really loved having Hannah to stay. She is very kind, thoughtful and helpful and laughs a lot. We learnt how to make German Spetzel delicious.Hannah did a lot of gardening and improved the fruiting vegetable beds with peat and cardboard covering as well as dry stone wall building. She works hard and is a real team player. Indeed our discussions… read more were always interesting and thought provoking. Thank you again and see you again one day and take care too ! Your home was a place to laugh, to have big political and do-gooder dicussions :), to enjoy colourful and very delicious vegan food ( I hope I do not forget how to make vegan mayonnaise :D) and really to feel like home because your both are such warmhearted and open minded people. For all the next volunteers I can the two and the bunkhouse really warm recommend. It is a really nice place to stay with its place on the hill, the view to the mountains (not to forget ben nevis) and the loch arround and Lismore is such a nice little island. I was just two weeks there but it felt so much longer and it was not easy for me to say everyone goodbye. Take care :) !!! Nil we really enjoyed your stories of life in Catalonia and your world view. We have many memories to cherish about the month and will be forever grateful for all the hard work and effort you put in to move the project on. we thoroughly recommend Nil .He is conscientious, helpful and eager to complete projects.He will keep going and pay attention… read more to detail which is really valuable. Nil is a great team player and had us all roaring with laughter, Nil became a firm favourite of ours , Thank you very much Nil we hope you will come back too ! I can only say thank you so much to Clare and Mike for this fantastic experience. Right from the first moment they made me feel at home. I had a great time during the month I spent with them and the other workawayers. We had lots of interesting discussions about the world, and lots of laughs about crazy stories. And the food was always… read more great! The work can be hard sometimes though, but doable and really worthy. It was always varied, and I was able to practise and learn many things and skills, such as dry stone walling, gardening, etc. The landscape in Lismore is stunning, I visited lots of amazing places there and in other areas of Scotland. 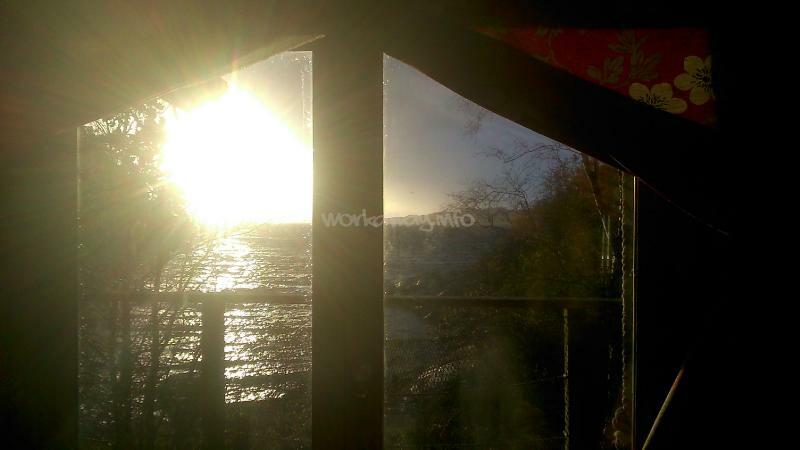 I totally recommend this workaway experience, they are great people. I wish the best of luck to you with the project and I hope I can come back one day! This experience of Workaway was really awesome! There were a lot of incredible things there. First, Clare and Mike were incredible hosts. Really welcoming and fascinating to talk with because of their lifestyle and way of thinking as well as their knowledge of Scotland. Also, the place is simply wonderful! An incredible island in these… read more beautiful Highlands : a peaceful place with a lot of really welcoming people to meet all over the island. Finally, the project is very interesting! A lot of different and diverse tasks for the beginning of this project. You will work hard but probably enjoy it! So to finish, I would say that I'd go back to this place tomorrow if I could... It was really an awesome experience that I strongly recommend you! Jean is a fantastic person, very polite,impressive and good fun and interesting and extremely hard working. Jean will be happy to work at anything because he has a great attitude to life and is very positive and capable. I enjoyed our many interesting discussions about life. I hope we meet again A bientot et Merci beaucoup mon ami! Greta is a very likeable and interesting person with considered views and a maturity beyond her years. She worked hard and did a very fine job weeding and planting as well as stone wall building. We had lots of laughs and Greta really appreciates the landscape and her environment making the most of everything .It is great when a person loves… read more Lismore and the scenery so much .We hope to see you again Greta, Danke schon! I had a really great time at Lismore and would like to recommend it to everyone! Clare really cares for her workawayers, thats great! There is some hard work to do but in exchange you get really nice food, very interesting discussions and much fun with everyone on the croft! Its a beautiful area, everyday you can find something new to explore and… read more enjoy. It was a great experience and I hope I can come back one day! Wish you all the best! Sabrina- great to get to know you-thanks for the friendship, fun ,creative talent and hard work. Indeed I hope you will come back.It is great when a person clearly loves the landscape and can draw such beautiful sketches and gets such joy from being on our beautiful Lismore. Sabrina is very self reliant and non demanding, totally able to work… read more independantly and will quietly work away at a job given to her until it is completed. I won't forget the Eddie Izzard night .....All the best and see you again one day not too far away. Thank you for choosing us ! thank you so much for the wonderfull time on Lismore. The island is the most beautiful place I ve see during my traveltime in Scotland. I loved the fact thar we were a mixed bunch of people- workawayers and your friends. It was never boring. The work was diverse as was the great cooking of Clare. Teatimes are scattered all… read more over the day which is relaxing, but streches the worktime. If you want to explore the island it might be a bit short before a dinner that you dont want to miss. But Clare will try to take you around even after a long day to see the coast with its magical views or you might be invited to someones home where musicians meet for a live jam session. I would love to come back. It was really a great experience. Wish you lots of guests for the bunkhouse! I worked for Claire and Mike for two weeks way back in March. And though it's been a few months, I'm glad I waited to review Claire and Mike. Put in perspective, I can see how my work on Lismore shaped the trajectory of my life. But first the accommodation and food. When I was there, I slept comfortably on a bed above the kitchen. Someone… read more always lit a fire in the morning, so you won't go cold. We had muesli and fruit for breakfast; a medley of jams, sauces, breads, fruit, and cheese for lunch; and for dinner, Claire carefully prepares a hearty dinner. All in all, it's definitely a good exchange. I helped build a wood shed, flower beds, and the foundations to their bunkhouse. I had never worked on these projects before. At first I did them because, well, I signed up for it. Then, slowly, I began to love the work, despite the freezing winds and cloudy skies. I began to realize that since I was a kid, I've wanted to build things but no one gave me the freedom to build. Claire and Mike trusted me, gave me the freedom to build, while also teaching me. "Measure twice, cut once," is an axiom I now live by. I'm pursuing a future in carpentry now, a future obviously motivated by these first experience on Lismore. Claire also set in motion questions about my faith. She didn't evangelize, nothing like that, in fact, she didn't really do anything except talk to me. She took me to her church a few times and encouraged me to go to Iona. The bulk of my experience helped heal my long and painful disillusionment with religion in particular and Christianity in general. Mike let me stay in his Glasgow apartment when I flew out of the city's airport. There's a pretty rad skatepark behind the apartment. I definitely recommend staying with them in Glasgow. At the cottage close to. Lismore, Claire took me around, showed me many beautiful sights, and took me into town more than few times. Thank you Claire and Mike for everything. I'm still very grateful for my time at Lismore. From the photos on Facebook, it looks like it's going well! Oh my goodness, sorry for the slow reply, I thought I'd replied to this! I don't know where to start about my experience on Lismore, it really was life changing... Clare and Mike are really wonderful people, I felt at home straight away and learnt so much from them! They have so much to share and are really hospitable.. Oh and Clare's vegan food… read more is amazing! It really was an incredible experience, thank you so much Clare and Mike. And sorry again for being so slow to reply! I know it's been a while but I still wanted to say how wonderful of a time I had with Clare and Mike on the West Coast of Scotland. They are wonderful hosts and immediately made me feel at home with great food and great conversation. I never got over the beauty of the landscape (and seascape) there, especially with the spectacular weather I got… read more lucky with. The work on the croft could be challenging at times but I enjoyed the challenge as well as the satisfaction in being part of the project. I learned so much about things I had never done: installing decking, underfloor heating, tea plants, soundproof walls, and much more. With the exception of some imbedded ticks, I can say that I only had a memorable, positive experience here. Thanks, Clare and Mike! My stay with Clare & Mike on Lismore was short but intense. I loved to live and work so close to the elements of nature and help out with laying the wood decking on the porch of the bunkhouse. Clare gave me a warm welcome and made my stay to an enjoyable one with good and healthy food and good talks. I'm looking forward to my next stay on Lismore… read more next may to see how the croft and the bunkhouse look in spring time. Bethan was definitely out of her comfort zone and showed real metal and overcame the weather the basicness of the croft and helped in the eco build process of constructing the bunkhouse and helped with the vegetable gardening aswell. Despite the inclement weather Bethan made the most of it all and got into the swing of the project. The fact that… read more she wasnt expecting the place to be so rough and ready means she deserves a gold medal for sticking with it and getting stuck in Well done and all the best ! see you again one day when its all looking spick and span! Cara is a full of fun highly entertaining all round good young lass who is very capable and nothing fazes her and she puts her back into everything. She is really great company and you will always be laughing about something when Cara is around . 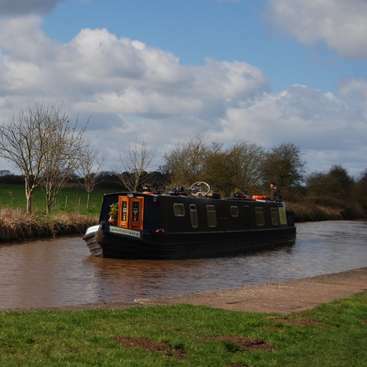 I would highly recommend her as a hard working down to earth and lovely workaway. I look forward to… read more meeting her again one day or else seeing her name up in bring bright lights one day. I spent 3 weeks with Mike, Clare and their family and I couldn't ask for a better place to discover Scotland ! The wether was sometimes harsh but it was a real pleasure to get involved in their project. Lismore Island is a beautiful place to stay if you like wild landscapes and the people are just the best. Mike and Clare also took me to the… read more Celtic Connections in Glasgow and I could explore the city on weekends which was great as well! Do not hesitate one second and go there, you'll discover a very energetic, kindly, and interesting family ! I spent tree weeks with Clare, Mike and their family&friends. I really enjoyed the "hebridean weather" which was more mediterranean while i was there. working in this beautiful area was just amazing and the surroundings are perfect for a hike or bike ride. I am glad that i'm not good in cooking so i was getting delicious vegan meals cooked by… read more Clare, Mike and their family. Their knowledge about history, nature and biodiversity is great. We had a lot of constructive discussions about that and i learnt a lot from them. We really enjoyed the 4 weeks with Clare, Mike, their children and friends. It was a great time and we learned a lot. We were lucky and had a few days with sunshine, but be prepared to work hard and in bad weather conditions (rain, wind) - but it's Scotland and we stayed in February/March with them. ;) Anyway, there is a amazing landscape as a… read more reward if there is sunshine with stunning views especially behind the croft - we loved that view so much ! It is always possible to talk with Clare about any worries or problems, thank you for that. But you can discuss and talk for ages about interesting topics, which was really nice. Juliane is a rare jewel in this topsy turvy world .We have enormous respect and fondness for this hardworking sincere fun loving and genuine person who cares deeply about justice and peace in our world. We think she should lead the European Union but of course Juliane doesnt seek power and prestige so she would never imagine herself in that kind… read more of position -nevertheless that's what the world needs! Thanks for all the hard work in some pretty wild and crazy weather and for sticking with the levelling and shifting rocks Amazing.! Great conversations and many funny times Hope to meet you again in the not too distant future. I am still very happy that I met Mike and Clare. Both of them are very warm hearted and caring people, who love to discuss important themes that are going on in our world. They are also excellent cooks and always make sure that you feel comfortable. I also enjoyed the absolutely beautiful scenery at the loch and on Lismore. I loved lending… read more your bike and kayak to explore the region and was very happy that Clare and Mike showed and explained me some more impressive sceneries. Chance that you will change the negative rating? Finally, here is my feedback for you! But better late than never ;) I spent nearly 3 weeks of my summer holiday at the west coast with Mike, Clare and Sally. It was a really great experience for me, because Mike and Clare are such nice fellows and they have a fantasic project running. 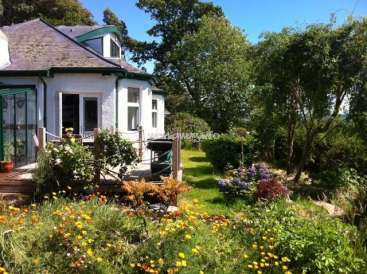 They want to renovate an old croft, which is located on the… read more beautiful island Lismore. So, therefore we stayed on Lismore most of the time. Beside weeding, painting windows, tearing of the old roof or rebuilding the wall (which was fun too) I could check everything on my What-to-Do in Scotland list: go swimming in a loch (albeit involuntarily) CHECK, visite the Highland Games CHECK, eat a delicious vegetarian Haggis (even self-made by Clare) CHECK, explore a castle ruin CHECK, meet the lovely scottish landscapes with its sheep CHECK, drink original scottish whiskey CHECK, visite Glasgow CHECK and of course finding new friends CHECK. I'm looking forward to see you again at the house-warming party! I wish you all the best with your project. Keep going! This has been a fantastic stay. Clare and Mike are very nice and humorous and I was part of the family from the first day on. Clare is a great cook and she showed me many new recipes. I really enjoyed working on the croft (even if it was hard sometimes) and I learned a lot. Lismore (and Loch Creran) is a wonderful place to stay and I am… read more looking forward to coming back soon! I got lucky and was able to spend two weeks on the croft with Clare and Mike. From the minute I arrived in Glasgow I felt welcome at the flat. Mike is very interesting and I really enjoyed our conversations. Once I got onto the island I was always giggling from Clare's great gift to describe a situation. Along side Alina we made a dry stone wall,… read more planted many oak trees and moved many stones. We worked hard and ate great food that Clare would whip together each night. I couldn't have asked for more from my time on lismore. Thanks again to both of you and I wish you all the best. Nadine was a great enthusiast for nature and was up for early morning sea loch kayaking and is also a great baker -some seriously decent vegan cakes were hapily munched through by us all, We were also impressed with her ability to adapt to some fairly extreme sleeping arrangements ! Nadine made the most of all opportunities and worked hard at… read more gardening wall building and moving stone about Thank you Nadine and good job done ! I had a fantastic first work-away experience with Clare and Mike and all the other work-awayers who were there at the same time. Clare has a great humor and is very easy-going and Mike knows a lot about Scotish history and many other things and it was very interesting talking to him. The work was fun and varied and I loved going kayaking with the… read more seals or going for walks and exploring the beatiful landscapes. It was great to meet a lot of very nice people (work-awayers, neighbours and friends of the family) and have bonfire nights with them. And the food was very good as well. I had some really, really great two and a half weeks! I couldn't have asked for a more perfect workaway experience, especially for my first. Clare and Mike and their family truly treat you as part of their own family. The work was fulfilling and fun as Clare takes the opportunity to tell us about what we were doing so we could leave with some new knowledge, and for me, some wonderful recipes! Her… read more cooking is absolutely delicious, no matter if you're a vegetarian or not. Also, Clare is awesome company, as she is the coolest (and badass!) lady I've ever met! There's usually other workawayers to share your experience with too. I will never forget the hospitality and kindness I received! I'm already making plans to return to Lismore and visit their family again! P.s. the views you'll experience there is absolutely spectacular. You will not regret it! I stayed with Claire and Mike for three weeks and I truly enjoyed it. Claire and Mike are friendly, it is easy to get along with them and they always try to get you involved. They made me feel really welcome and were up for joking as well as for serious discussions. 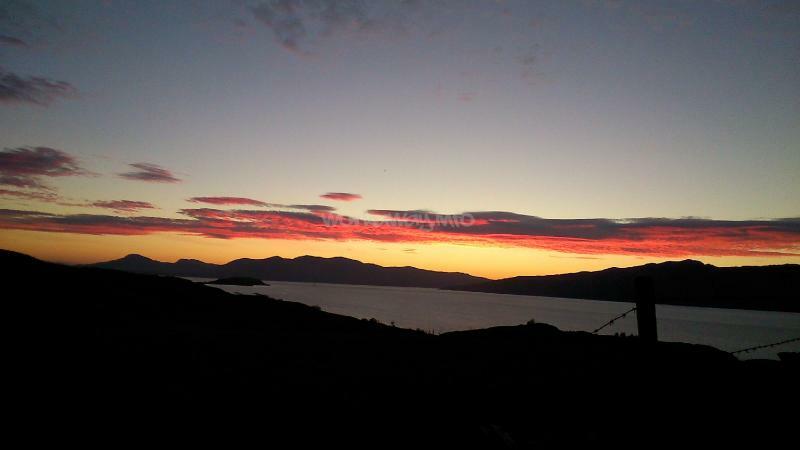 The cabin at Loch Creran is cosy and lovely located and the Island with its coast… read more and the stunning view (especially on sunset) is absolutely beautiful. The work was interesting and could learn some new things about lime mortaring and roofing. Clare and Mike (and all their friends and family) are really kind and welcoming persons with whom you can laugh a lot. I spent two great weeks with them, which was definitely too short! I learned a lot of useful things, especially about gardening and fencing. The work was sometimes really exhausting but it was makeable although I didn´t have… read more much experience. The croft, the island and the cabin next to the Loch are really lovley, with great views and interesting places to explore. At last I need to mention the really good food! I couldn´t have had a better first workaway experience, thank you a lot! I will surely come back! This family is really fun and was making my first workaway experience absolutely perfect! They make you feel part of the family. The residences are really beautifully situated and the food was excellent as well! I stayed with them (sad to say only) for 2 weeks and learned a lot about gardening, fencing ... But don't forget: Work is hard though,… read more but they will explain everything to you. If you don't mind working hard, like nature and learning new things you will love it! Thanks for the great time Clare & Mike, I'll definitely come again! Tatjana is great fun, hard working and extremely reliable. I would recommend her without hesitation to any work away host. She is just lovely!